The N2 ‘Wild Coast’ Toll Rd EIA appears to have resurrected a widespread and extremely short-sighted myth which is common in economic circles. 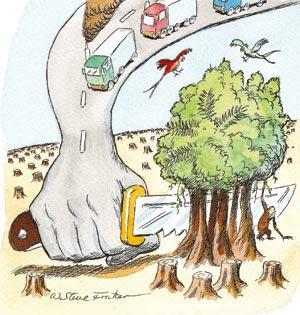 This myth is that ecological losses are justified if they result in economic gains. The N2 Toll Road EIA points out that the proposed highway will result in substantial damage to the environment, particularly the extension through the ‘Greenfields’ section which traverses the Pondoland Centre of Plant Endemism. It defends these negative environmental impacts by claiming that economic benefits will outweigh ecological losses. This myth has been widely perpetuated by a number of local media reports concerning the N2 project. 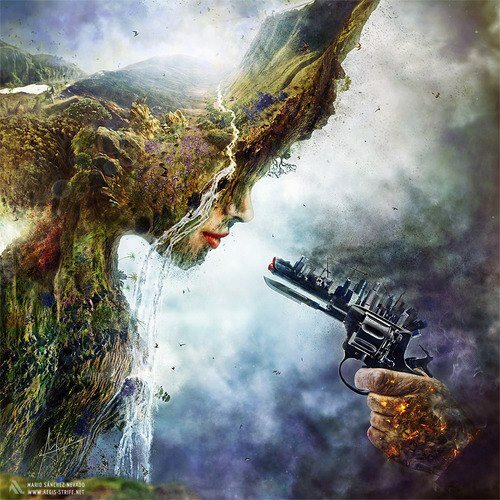 It is beyond belief how such an outdated notion continues to be perpetuated in the twenty first century, when one considers the perilous state of the planet and incontrovertible evidence to the contrary by significant numbers of internationally accepted studies that show that environmental degradation invariably leads to decreasing social well-being and is economically costly. In 1997 the United Nations, in its Human Development Report, said that poverty relief measures went hand in hand with reversing ‘environmental degradation’, securing ‘sustainable livelihoods’, improving employment prospects and creating ‘an enabling environment for small scale agriculture, microenterprises and the informal sector’. The UNEP 4th Global Environmental Outlook report of 2007 states, ‘development strategies often ignore the need to maintain the very ecosystem services on which long-term development goals depend…’. Both the UNDP and GEO4 state that poverty relief in many instances is interdependent upon reversing environmental degradation and nurturing sustainable livelihoods. The 2007 South African National Framework on Sustainable Development argued for recognition of ‘non-negotiable ecological thresholds’ (NFSD, DEAT, 2007:21) that need to be reserved in order to maintain natural capital stocks over time. This ‘integrated approach’ emphasizes that the sustainable functioning of social and economic structures are dependent upon maintaining and working within the capacity of the environment to maintain and regenerate itself. Given our considerable and irrefutable scientific proof of the current parlous state of our planet it is difficult to know how the myth that supposed economic gains can supplement for lost ecosystem functioning keep being perpetuated. Our own South African Environmental Outlook report, published in 2007 by the DEAT, makes it abundantly clear that South Africa cannot be at all complacent when it comes to the state of our environment, if we are to have any hope of pursuing a sustainable path. First, it serves the short term interests of business and political leaders who stand to gain short term private profits or ‘kudos’ from maintaining this illusion. Second, it comes about because of a reductionist approach to development which divides social, economic and ecological functions into separate, unrelated ‘boxes’, instead of seeing that these are all completely inter-dependent with each other. Third, it comes out of a widely-held belief that humans and human society are somehow ‘separate’ from nature and from natural systems, with no understanding that whatever happens to natural systems will ultimately affect what happens to humans. Belief in this myth is leading us to the brink of catastrophic ecological collapse which threatens the foundations of modern civilization. Climate change, the collapse of vast sea fisheries, doubling of reactive nitrogen and tripling of phosphorous since 1960, mass conversion of biomes - primarily to agriculture, a 6th great extinction of species due to habitat loss, and declining genetic diversity are all symptoms of a belief in this myth. And now it is being used as justification to put the Pondoland Centre of Plant Endemism at risk by ill-conceived corporate driven infrastructure proposals in the form of the N2 Toll road ‘Wild Coast’ extension and the mining venture. Surely it is time to debunk this myth once and for all for the unmitigated rubbish that it is, and advance development proposals that improve the capacity of our natural systems to deliver ‘natural capital’ in support of human society, and thus enhance benefits to society as a whole, rather than insisting on development strategies that degrade our life-supporting systems?